Just a few days ago Klout revolutionized its public facing service. It’s a gigantic shift; Klout transformed into something completely different – on the surface! What’s in it for Klout? It’s an influence measurement service that tracks your activity on selected web sites. It also tracks how others respond and connect to you. As a result, it creates a Klout score, a value that is supposed to show how influential you are online. On their web site Klout.com you have a profile which will show your influence score, your recent interactions, and some information how your Klout score is calculated. If you don’t create an account on Klout.com, Klout will simply use all information that is publicly available about your social media activity. If you DO create an account, you’ll connect your social media accounts to Klout, giving Klout direct access to your social media activities and connections. You have the option to completely opt-out of Klout. Klout will stop collecting and publishing information or a Klout score for you. All the stuff that was Klout before (the ‘your-Klout-score’ stuff), has been moved to lower level pages, and it needs extra clicks to find that information. 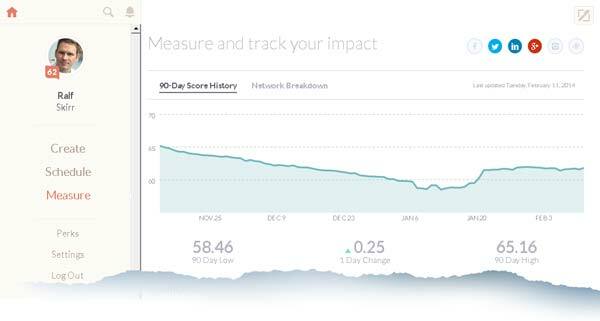 Klout has effectively decreased visibility of their controversial influencer scoring content. Top, front, and center at Klout you’re now presented with article snippets from blogs and news sources. Klout has invented an easy to use sharing tool, and you can use it to share those article snippets to your social media accounts. “… helps you find shareable articles that are likely to resonate with your friends, fans and followers. While a lot of blogs covered the new sharing features, surprisingly no one analyzed what the change means for Klout’s core business – measuring online influence. Developing a large scale content curation tool (=social media sharing tool) is no small feat. Klout must have spent a lot of money on this. It’s also entering a field with lots of players, lots of competition. 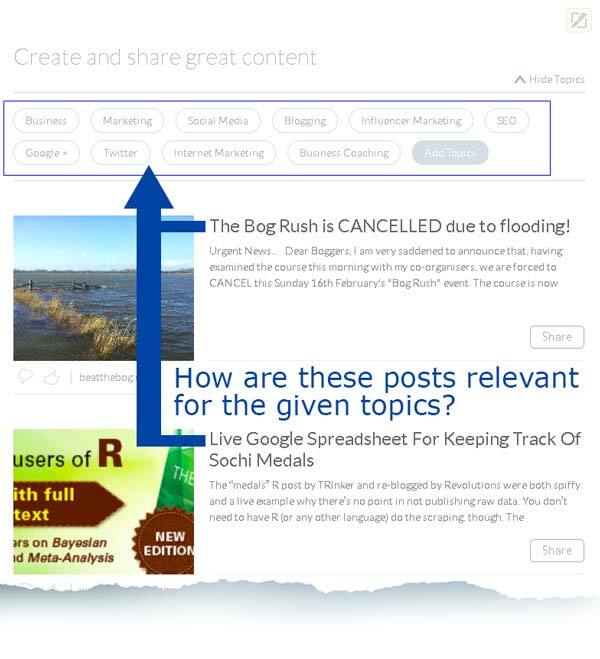 Klout’s share tool sports features that you have to pay for with other content curation tools. For Klout, it means developer cost, server cost, and bandwidth. Up until now, many people have ignored Klout, because they were simply not interested in their online influence score. By ignoring I mean: They didn’t sign up to Klout, they didn’t connect their social media profiles. Some people have actively resisted Klout and opted out. They’ve cut off Klout from gathering their information. How does the free sharing service fit into Klout’s business model? Very rarely people talk about how Klout actually makes money. Klout makes money by connecting brands to influencers. They collect data and create profiles of social media users, i.e. you. When a brand wants to run an influencer marketing campaign, Klout will filter its data to find the best influencers to target. Klout will then send the campaign to those influencers on behalf of the brand. Brands pay Klout for the service of using Klout data to find good influencers for a campaign. Brands pay the bills for Klout! Well, actually the investors do, Klout is just up to be bought for 100+ Million, but selling services to brands is Klout’s core business concept. The more influencer data Klout has available, the more valuable it is for brands, the more influencer marketing campaigns Klout can sell. Klout does not give your personal information to the brands, by the way. Your info remains within Klout, and Klout merely acts as a “messenger” between you as an influencer and the brand. Here’s why Klout’s new service is a game changer. With a free sharing service a site that was completely irrelevant for most people, suddenly becomes useful for everyone interested in sharing content on social media. People who did not bother to sign up before, now may find reason to do so. To use the sharing feature, you must connect your social media account. BINGO! By connecting your social media account to use the share tool, you give Klout more direct access to your social media activities and connections. Tens of thousands might now join Klout and give Klout access to their data! Conclusion – What’s in it for Klout? By offering a free social media sharing tool, Klout targets the number one bottleneck in its business model: the resistance of people to give Klout access to their social media profiles. I couldn’t think of a more elegant way to eliminate this bottle neck. Well done – a win-win for users and Klout! What else might play a role? Here are 4 more aspects I came up with. I’m not a Klout insider, so I don’t know if I’m hitting the nail on its head here. 1. 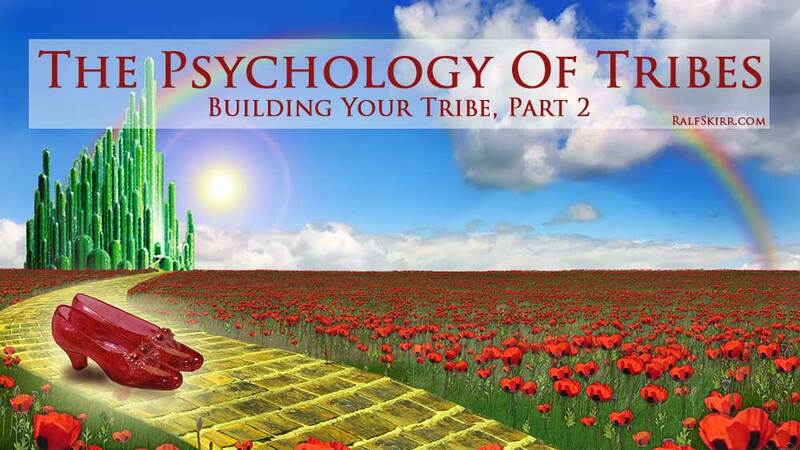 Greater accuracy in defining your topics of influence. Another bottleneck of Klout is to accurately find out what topics you stand for. In the past Klout has used different means to find out what topics you are influential in. They analyzed your social media posts, including cats and bacon. That often led to assigning completely false topics to someone’s profile. They allowed you to add and remove topics yourself. The question is, how many people actually used this option. I’m guessing very few bothered to inform Klout about what they want to be known for. They get first-hand information what you share. They also see what you DON’T share from the content they put in front of you. They’ve implemented thumbs-up and –down buttons on each piece of content. While many people may not have bothered to manage their topics, the voting buttons in content snippets are more likely to be used. Your votes help finding out what topics you stand for. 2. 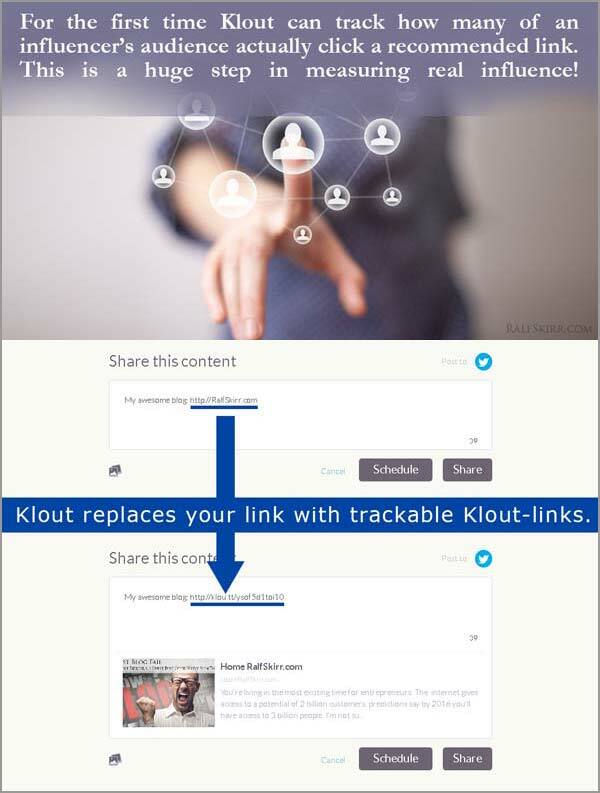 By replacing the links you share with their own redirect links they can easily track spread of links and clicks within your network and beyond. Like most services Klout replaces your links with their own. When analyzing links you share through other services, they can only see who the same link. Now they’ll see the exact path through multiple generations of sharing over time (think Google ripples), and – more importantly – they can track clicks. That helps them not only to gauge your influence in shares or retweets [they could do that before], but also to find out what the members of your audience actually clicked on. Klout just came one step closer to measure real influence that results in actions. How cool is that! 3. Klout could make extra money by putting sponsored content in front of you. They are not doing it now, but it’s certainly an option to offer brands adding sponsored content to the influencer’s feed. The sponsored content would only be injected into the feed of influencers with matching topic and sharing behavior, i.e. those who are most likely to share. 4. Klout might add a paid version of its new social media sharing tool, once the platform has matured. I don’t expect that to happen, because a paywall will decrease the advantage the free tool delivers for Klout’s core business of measuring people’s social media activity. It was revealed earlier today that Klout is about to get bought by Lithium Industries. According to an article on TheVerge.com Klout’s previous business model failed and is dead. They even say Klout ‘measured online influence,’ please note the past tense. It’s an obituary! I’m not so sure about that, yet. 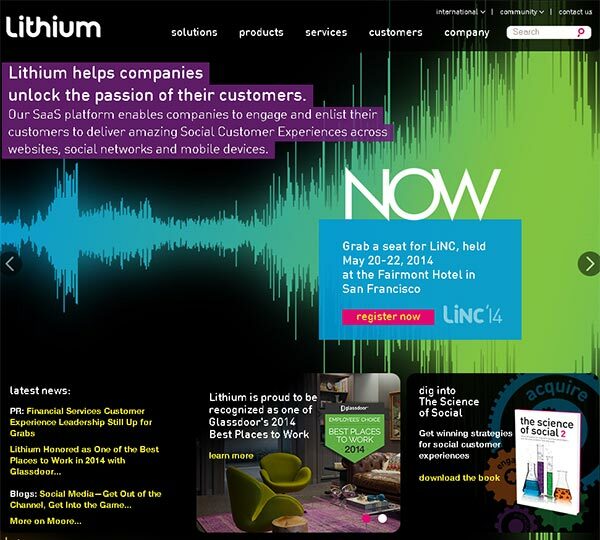 Looking at Lithium’s web site, they provide a wide array of products and services about customer engagement across ‘all your digital platforms.’ Turning Klout into a simple paid sharing tool seems unlikely, especially looking at Lithium’s enterprise level client list. Giving up Klout’s brand also doesn’t seem too likely. Klout’s current core business of connecting brands to influencers might fit well with Lithium’s enterprise clients. We’ll have to see what statements Klout and Lithium will make. For version 1 this is a fantastic tool; it received positive reviews within days. Finding, sharing, and even scheduling content is easy and intuitive. Yet, in its current version I’m not likely to use it a lot. It needs to become good enough that I’m ready to give up my current sharing tools. I don’t want to hop back and forth between a gazillion sharing tools. So, as long as Klout is missing the most important features for a power sharer, it’s not on my A-list. 1. Including custom sources is a must. For any social media enthusiast or power sharer it’s unthinkable to ignore all the sites that we are used to share from. It’s great to discover fresh content that I would not have found myself. But being a power sharer it’s VERY important for me to be able to share from my own favorite sources, too. I don’t want to hop back and forth between a gazillion sharing tools. So, as long as I can’t add my own choice of RSS feeds to Klout, I’m not likely to use it. 2. The suggested sources are too limited. Scrolling through the stream just for a few posts will already bring up the same sites again and again. 7 posts and 2 sites coming up twice as sources for my sharing? Given the size of the web that’s not good enough. Hint: There’s more in the world of marketing and SEO than marketingland.com and searchengineland.com. 3. Make viewing content even easier. I can only see a handful of posts without having to click ‘view more content.’ Technically it is easy to load new content automatically as I scroll down. Please don’t make me click 10 times only to load more posts. How many share-worthy posts to you expect me to find in the first 5 or 7 items you show me? 4. Offer to schedule multiple times. Right now it seems I can only schedule an item once. Being able to add a few more scheduled shares would be great. I find 3 to 5 reasonable. 5. Give us a browser bookmarklet that allows us to share ANY content while browsing the web. Firefox and Chrome, please. 6. When sharing a web site link, let me chose the image. When a post contains multiple images, Klout seems to use the first one or the featured image. It would be nice to be able to choose the pic myself. Not a big issue, though. 7. When sharing a web site link, let me edit or delete the preview snippet. Also not a big one. Just a nice-to-have. 8. Add more networks to share to. Right now I can only share to Twitter and Facebook. Not sure if there are more options, Twitter and Facebook is what I’m seeing for the moment. Everybody would love you double, Klout, if you add sharing to Google plus personal profiles. I’m aware of the API thing, though. 9. Improve relevancy of suggested content. Sometimes it’s impossible to see a connection between my topics of influence and the articles Klout suggests for sharing. This is not a doctored screen shot. It shows the articles that Klout actually suggested to me today at the top of the articles list. Both are irrelevant for my topics. 10. Give us access to link tracking statistics. Link click-through is an important metric, Klout can now easily measure it. 11. Kick your web designers hard for thinking it’s chic to have light grey font on white background. Web design should serve usability first. I’m over 40, and I appreciate sites that favor contrast for readability over fancy design. Again, version 1 of Klout’s social media sharing tool is an excellent start. 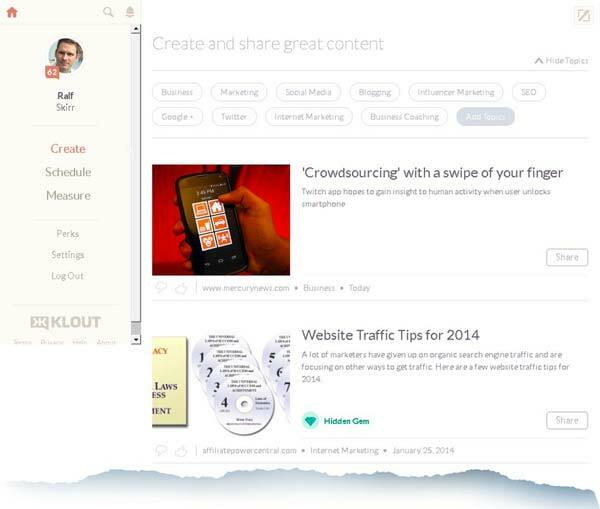 If Klout keeps improving, they will give paid sharing tools a run for their money! And they will attract new users connecting their accounts in leaps and bounds.